SmartTots announces Lena Sun, MD and Jeffrey William Sall, PhD, MD as the recipients of its 2013/2014 round of pediatric anesthesia research grants. The research grants are intended to support investigations into the existence of a clinical signal suggesting poor neurocognitive outcomes as the result of early exposure to anesthesia. Drs. Sun and Sall will be conducting separate studies both centered around determining the effects of anesthetics on early brain development and each will receive $200,000 paid over a two-year period to fund their studies. Millions of children receive anesthesia each year. Non‐clinical studies in juvenile animal models show that exposure to some anesthetics and sedatives is associated with memory and learning deficits and other neurodegenerative changes in the central nervous system. Insufficient human data exist to support or refute the possibility that similar effects occur in children. SmartTots is dedicated to funding research that will help determine if any particular anesthetic or sedative drugs pose hazards to young children, design the safest anesthetic and sedative regimes, and potentially foster the development of new practice guidelines and anesthetic drugs. 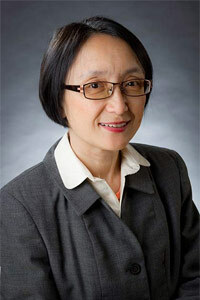 Dr. Lena S. Sun, E.M. Papper Professor of Pediatric Anesthesiology, Professor of Anesthesiology & Pediatrics and Chief of Division of Pediatric Anesthesiology at Columbia University Medical Center, leads the effort as the Principal Investigator of the multi-site PANDA (Pediatric Anesthesia and Neuro-Development Assessment) study to pursue the important research question of whether anesthetic exposure has detrimental effects in the developing human brain. SmartTots funding will support the completion of this ongoing study on the effects of a single episode of early childhood anesthesia exposure before age 3 years on long-term neurocognitive function and behavior in healthy children. The PANDA study will provide the first set of neurocognitive and behavior data in healthy children that are prospectively collected and directly assessed. The study is expected to provide the needed evidence for informed discussions with providers and parents as well as guidance for clinical decision-making. 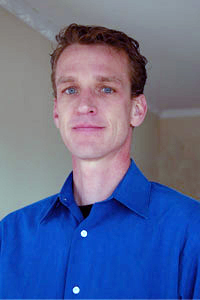 Dr. Jeffrey Sall, Hamilton Associate Professor at UCSF School of Medicine, Department of Anesthesia and Perioperative Care, will be utilizing the SmartTots grant funding to study the limits or boundary conditions of early childhood anesthesia exposure that lead to cognitive deficits. This project will determine how the duration of anesthesia exposure and the age of the child at the time of exposure affect recognition memory deficits. The results of this study will provide guidance to clinicians and parents when deciding to perform certain procedures and will give future researchers an important outcome measure that is easily testable. SmartTots research grants were made possible thanks to generous contributions by individual donors and foundations, as well as a contribution from the International Anesthesia Research Society (IARS). The IARS and SmartTots are dedicated to funding research needed to determine the safety of anesthetics and ensure the safest treatments are available for children. SmartTots is a Public-Private Partnership between the U.S. Food and Drug Administration (FDA) and the International Anesthesia Research Society (IARS) designed to close research gaps related to the effects of anesthetics on the developing brain, and ensure the safety of infants and young children undergoing anesthetics in medical procedures. Findings from SmartTots research studies will determine the safety of commonly used anesthetics, establish new practice guidelines, and potentially foster the development of new, safer anesthetics and sedatives. In 2012, SmartTots released a consensus statement regarding anesthesia safety in children. The statement has been endorsed by the International Anesthesia Research Society (IARS), US Food and Drug Administration (FDA), the American Academy of Pediatrics (AAP), the Society for Pediatric Anesthesia (SPA), the Society for Neuroscience in Anesthesiology and Critical Care (SNACC), the American Society of Anesthesiologists (ASA) and the European Society of Anaesthesiology (ESA) and is available on the SmartTots website. The International Anesthesia Research Society is a nonpolitical, not-for-profit medical society founded in 1922 to advance and support scientific research and education related to anesthesia, and to improve patient care through basic research. The IARS contributes nearly $1 million annually to fund anesthesia research, sponsors an annual forum for anesthesiology leaders to share information and ideas, maintains a worldwide membership of more than 15,000 health professionals in anesthesia-related practice, sponsors the SmartTots initiative, and publishes the academic journal Anesthesia & Analgesia.